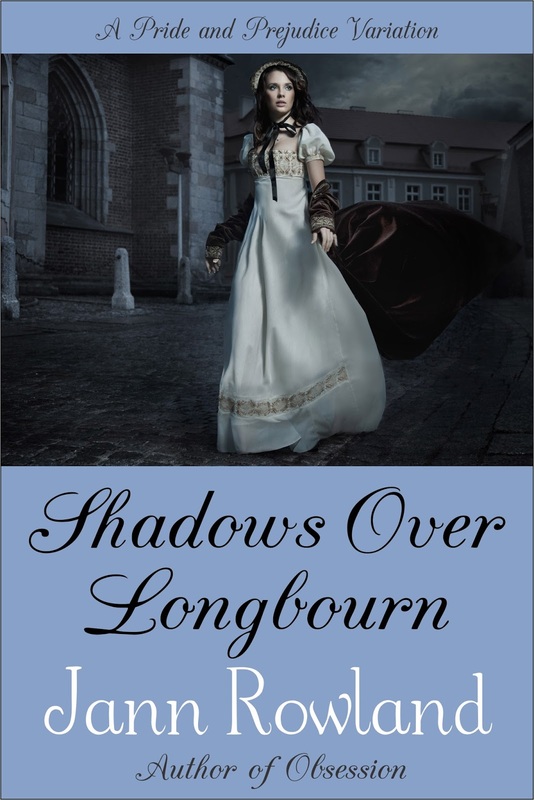 Shadows Over Longbourn is a Pride and Prejudice variation that strays away from canon. The book starts 4 years before the original story with a widowed and very ill Mr. Bennet contacting a distant cousin to ask him to become the guardian of his daughters, and this way saving them from a cruel fate at the hands of his evil cousin Thaddeus Collins, who is bound to inherit Longbourn. The distant relation that comes to the Bennet family’s aid is none less than our very own Mr. Darcy! By accepting to become the girls’ guardian, Mr. Darcy is forever changing their fates. Lydia and Kitty are still at a very young age and for that reason it is still very easy to teach them proper behavior, especially as they receive the same education as Georgiana. And their presence will be determinant in the Ramsgate incident. In fact, this variation of the incident was one of the most interesting I’ve ever read. Lydia goes with Geogiana to Ramsgate and she is the one reporting Mr. Wickham’s plan to Elizabeth. One would never say that Lydia Bennet would be the responsible one protecting foolish Georgiana, or that Georgiana would be the impertinent brat refusing to behave properly, but that is precisely what occurs. This scene also impressed me due to Elizabeth’s behavior. She remained true to herself but was not as tolerant as I see characters behave in other variations, and I really enjoyed it because I always feel characters are frequently too forgiving and tolerant towards Georgiana. Usually she is poor Georgiana and Lydia is foolish Lydia when in fact they both considered doing the exact same thing: to elope with a man they believed themselves in love with. Well, this book is a refreshing change in that aspect and Elizabeth was very firm in her reaction to Georgiana. Jane and Mary’s life’s are also influenced by this change and they soon find their perfect matches. I won’t say too much, but I did enjoy the husband Mr. Rowland found for Mary. And then…we have Mr. Darcy and Elizabeth whose fates were also changed… Well, not exactly changed because they will obviously have their HEA, but the path they took to achieve it was quite different. I have been a proud member of the “Let’s torture Elizabeth club”, and this was definitely the best book in that area! On this variation Elizabeth will be living with Mr. Darcy at Pemberley since she is 17, so she soon realizes how he truly is, and obviously, falls in love with him. However, he will only see her as his ward, so Elizabeth will suffer from unrequited love for pretty much the entire story (big smile on my face right now), how’s that for a change? Shadows Over Longbourn really surprised me because I wasn’t expecting, based on the premise, that I would love it so much, nor was I expecting to not want to stop reading it since the very beginning, but after chapter one I could not stop. I was not certain that I would love a variation were love between Mr. Darcy and Elizabeth would grow very slowly, not that I like the plots with love at first sight, I don’t. My favorite books are those that show us why the characters fall in love with one another, that show us why they are so well suited for each other. But still, I wasn’t sure I would like to see Mr. Darcy watch Elizabeth grow from a teenager to a grown woman. However, this plot ended up being just perfect! We were given a rare gift, which is to see Mr. Darcy slowly understating how Elizabeth is perfect for him and how she suits him so well, how his life would not be the same without her. Summing up, Darcy and Elizabeth have a complicity rarely seen on a JAFF book and that could only exist after spending so many years together, which makes the premise quite perfect. Something else I loved about this book was that Jann Rowland took the time to present us all the characters in the book, and to let us know their personality. He was able to characterize them through their speech and actions instead of just describing them himself, and this shows a true literary talent. I believe the author is quite aware of human nature, of people’s characters, their qualities and faults and transmitted them all into this book through the display of a diversity of personalities and reactions. I know some people didn’t like Mr. Collins senior in this book, but to me the most annoying was Miss Bingley, she was the one truly insupportable, but the fact is, there are people like that in the world, and this book just portrayed the human nature in its several variants. The only 2 things that kept me from rating the book 5 stars were first the long dialogues between characters and the description of their actives, etc. While this was clearly an added value to the story, it also made it a bit slow paced for my taste; and second, I thought Mr. Darcy was not so proud as we would expect when he first met and talked to the girls. But Shadows Over Longbourn was so far the surprise of the year for me. I loved it and highly recommend it! Jann Rowland is a Canadian writer. He enjoys reading and sports, and he also dabbles a little in music, taking pleasure in singing and playing the piano. Though Jann did not start writing until his mid-twenties, writing has grown from a hobby to an all-consuming passion. His interest in Jane Austen stems from his university days when he took a class in which Pride and Prejudice was required reading. However, his first love is fantasy fiction, which he hopes to pursue writing in the future. 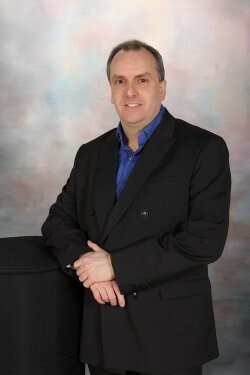 He now lives in Alberta with his wife of more than twenty years and his three children. That’s right! Mr. Rowland brought and e-book copy of Shadows Over Longbourn to offer to one lucky winner. All you have to do is leave a comment on this post and let us know what you think of this or any other of Mr. Rowland’s books. The giveaway is international and it’s open until the end of the blog tour on June 2nd. I’ve seen this one mentioned a few times, but didn’t get the chance yet to investigate the story much. Wow! Those are some interesting changes and I want to read and see how it goes. I like what you said about the characters all getting developed well and that there are more plot threads than just the Darcy/Lizzy story. I’ve heard quite a lot about this new book and am excited to read it. Thanks for the review and giveaway. Well this sounds fascinating. I agree with you entirely about friendship leading to growth and understanding between characters; in fact, it was the premise behind many of my papers on 19th C literature for my PhD. I have enjoyed several of Mr. Rowland’s books and really look forward to reading this summer! A clear, incisive review, as usual. 🙂 I love how they’re real reviews, instead of just a synopsis. I can read one of your reviews and go: “Oh, I understand exactly what to expect from this book – it’s for me/it’s not for me.” I find myself nodding in agreement with you as I often read a line. For example, your bit about letting the characters reveal themselves through their choices and their words, rather than describing them to us – that’s really what distinguishes the good from the great, isn’t it? Also, stories where the characters take a while to get to know each other before they embark on a romance, are my favourite too. I enjoy the friends-to-lovers trope more than the love-at-first-sight, or even the hate-to-love trope (as in P&P and N&S -although they are my faves!). And that Scully quote – fits seamlessly into any discussion about period romances. It’s a sentiment that’s not bound by genre. Perhaps why we love the M&S relationship so much! Terrific review Rita! I love that quote from Dana Scully… So perfect for this story. Thank you so much for supporting Jann’s tour, but mostly for your fair, honest and interesting review!! Amazingly enough J.Rowland is an author whose books I have yet to explore. I’ve had Implacable Resentment on my TBR list for quite a while,so I guess I’d better remedy the situation and delve in. This new book founds quite good. It’s an intriguing premise-Elizabeth as his ward,his responsibility,a relationship alteration from dependent to wife,lover and best friend.Am looking forward to reading how this slow transition occurrs,to seeing the development of feelings and unrequited love….until Darcy’s eyes are finally opened and he sees and understands Elizabeth I s whole new light! Yes,am definitely looking forward to this one! A clear,concise and informative review Rita, as always!! Oh well done indeed! Loved your review and now have to move this book up further on my wishlist! To have an X-File quote pop into your head while writing a JAFF review was brilliant! Very true too! I have read most but not all of his Mr. Rowland’s books. I do enjoy his style. Thank you for the chance to win this book! I am a big fan of let’s torture any of the P & P characters club so this is now on the list. Can’t wait to read it. The watching her growing up is almost like Mr. Knightley with Emma but obviously he wasn’t her guardian which is going to make this more interesting. It will be fun to see the changes in how the Bennett sisters turn out with a different parental figure. In terms of Jann’s other books, Obsession sounds like another interesting one to me. I don’t remember if I heard of Obsession before (I probably did and knowing me accidentally forgot about it). I’ll admit that after reading this post I went to Jann’s Amazon Author page and it just sounded so good and I could tell would probably be my 2nd favorite of his after this one. I have not had a chance to read any of his books yet this one really piques my interest. Great review Rita. I love a bit of torture for Elizabeth from time to time as well. The premise of this story is definitely unique. I’m looking forward to reading it. This book sees really interesting, I cannot wait to read it. It a good read, good luck in the giveaway Chiara! What an interesting concept! I’m putting this on my TBR list. Great review. I am even more excited about this unique variation. Have enjoyed Jann’s other books so definitely on my TBR list. Such an exciting premise! Thanks for the wonderfully detailed review, Rita, it made me so eager to read this story! I particularly like the Lydia-Georgiana parallel, and Lydia’s redemption. I always thought she got treated too harshly for other people’s faults. After all, she’s just a silly kid! And loved loved loved the Scully quote. So perfect for D & E’s relationship in this book’s premise. Can’t wait to read it! I did read this and enjoyed it. Posted a review. Good story. Wonderful idea! I will need the luck of the Irish to get one!